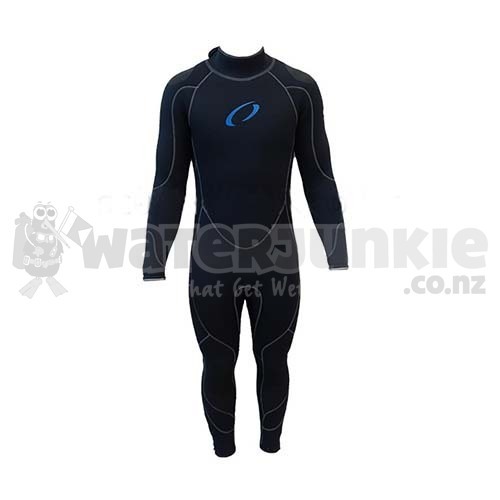 The Oceanic 7mm wetsuit is an excellent suit, offering warmth, durability, and value at a reasonable price. This suit is ideal for entry level and budget conscious cold water divers. The suit employs all of the advanced construction techniques used in Oceanics most expensive suits, but spares some of the more expensive bells and whistles. 7mm Titanium Lined Neoprene, Advanced Stretch Neoprene makes donning simple, yet is resilient enough to provide tremendous warmth. 10mm thick Spine Pad, and O-ring Wrist Seals all reducing internal water movement also adding to the suits warmth. Kneepads, Molded Rubber Shoulder Pads give Durability and Longer Life.